UN Secretary-General Antonio Guterres has told Colombia's foreign minister that he will set up a UN team to ensure the regional response to the Venezuela crisis is well-coordinated, his spokesman said Friday. But Guterres did not agree to Foreign Minister Carlos Holmes Trujillo's request for the appointment of a UN special envoy for Venezuela, according to UN sources. During the meeting at UN headquarters on Thursday, Guterres "told him that he would put together an internal coordination mechanism to make sure that the UN regional response is well coordinated," said UN spokesman Stephane Dujarric. "This is something that is not uncommon in these types of crises." Making his first visit to the United Nations since his appointment as foreign minister, Holmes Trujillo was pushing for a UN special envoy to lead a multilateral response to the humanitarian crisis in Venezuela. About 2.3 million Venezuelans have fled their country since it descended into crisis in 2014, most of whom were forced to leave because of a lack of food, according to the United Nations. More than a million have gone to Colombia in the last 16 months as recession and hyperinflation has worsened in Venezuela. Oil-rich Venezuela has been in an economic freefall since a drop in oil prices left a gaping hole in the country's finances. President Nicolas Maduro has faced criticism for his handling of the economic crisis and accusations that he is sliding towards authoritarianism. Colombia has called on its southern neighbors, Ecuador and Peru, to agree on a common strategy to address the problem. But a UN official, speaking on condition of anonymity, said Guterres was not considering appointing a special envoy at this point. 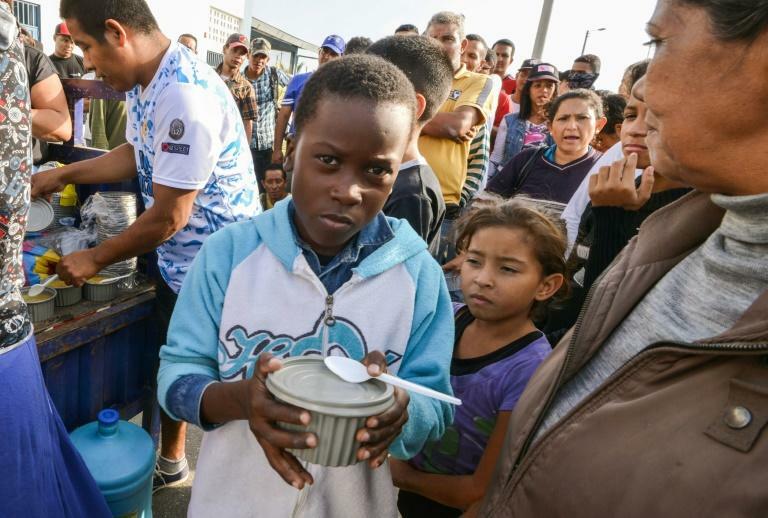 The UN crisis team in Venezuela will include experts from the UN refugee agency and the International Organization for Migration (IOM), among other UN agencies.